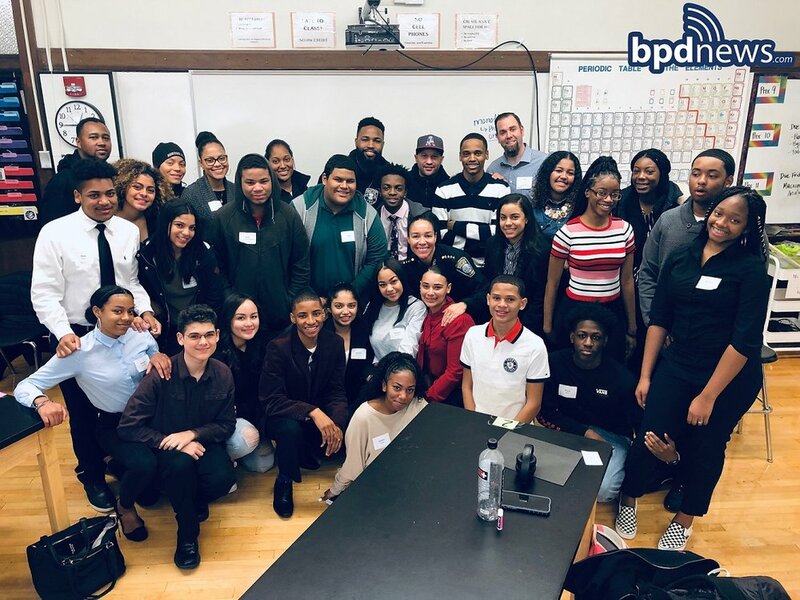 BPD in the Community: Earlier today, on Friday November 30, 2018, officers from numerous districts and assignments within the department took part in a ‘Career Day’ held at Fenway High School in Roxbury. Officers shared stories about their experiences in law enforcement while helping students see if a career with the Boston Police Department is something they should consider. Thank you to our officers for taking the time to participate and thank you to the students, staff and faculty at Fenway High for their warm welcome.